The JR-3000 automatic bow machine makes satin bows for lingerie and underwear for women and children clothing industry, in a high speed mode. It usually uses a single or double-face satin ribbon to tie this kind of bow ties, using ribbons from 3 to 8mm width as standard (9 and 10mm as optional). The ribbon length per bow is adjustable between 100 to 160mm. The machine has a hot angle cutting knife to prevent the fraying and an in-line ribbon ironing device to avoid faults due to low ribbon quality or poor bobbin conditions. The touch panel controller allows to control the machine more easily, and several sensors assure the automatic running: end roll, roll jammed, ribbon joint sensors, temperature out of range, etc, are monitorized by machine. Speed is gradually adjustable, to a maximum of 40 bows per minute; the cruise speed is 36 bows per minute. English, Portuguese, Chinese, Hindi and Spanish are selectable languages for the machine screen. This heavy duty machine is capable of working 24/7, and it´s manufactured by our company with the highest quality standards for a long life use and low maintenance. 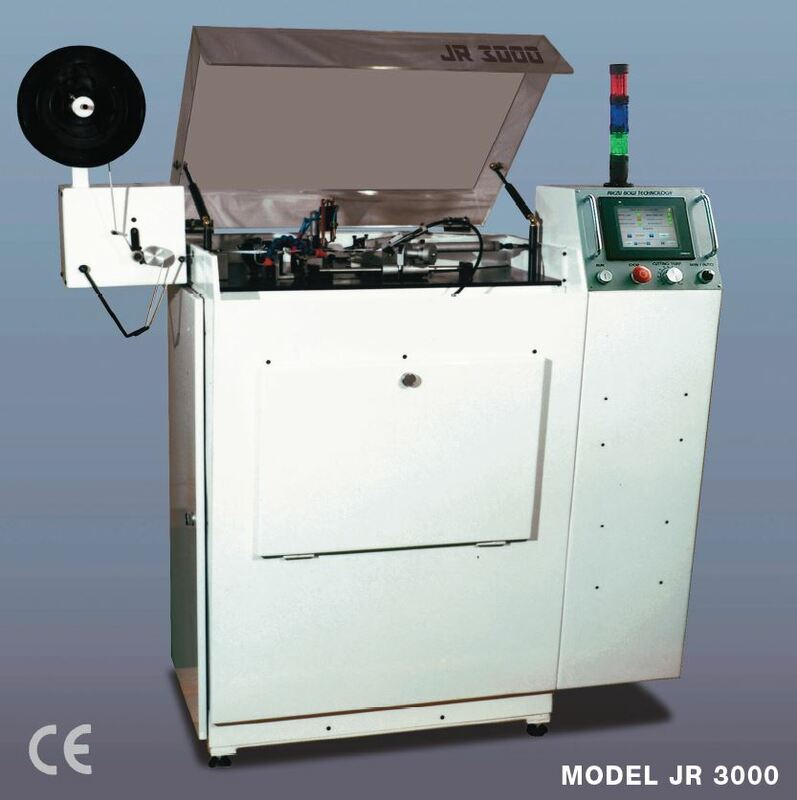 JR-bow machines have been running since 1998; JR-3000 uses the 3rd generation of this kind of technology.